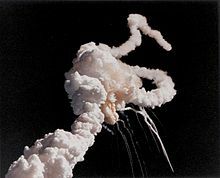 January 31, 1986 – a day many Americans who were around then will remember as the day the Space Shuttle Challenger exploded one minute and 13 seconds after lift-off from Kennedy Space Center in Florida. With a close-up view (8 miles away) that image has been indelibly etched into my memory. Prior to that tragic day, on January 27, 1967, Gus Grissom, Edward White II and Roger Chaffee died from a cabin fire in a dress rehearsal for a flight aboard Apollo 1, the precursor to the flight to the moon in 1969. Then, on February 1, 2003, the Columbia broke apart over Texas upon an attempted re-entry. Seven more astronauts were lost in that event. Following tragedies of these sorts, the question always arises, “why do men (and women) volunteer to go into harms way like this”? Well, it all started from a call; no, an order from President Kennedy for the United States to land a man on the moon and return safely by the end of the 60’s. And they did! After the “Saturn” program (the moon missions), America decided to go forward in an attempt to travel to and explore other places in the universe. The Space Shuttle program that was officially “launched” in 1982 was begun to further the manned exploration of space, including returning to and establishing a base on the moon. The first thing was to build a space station, a “first step” into space, away from the massive gravitational pull of earth. After that was completed, it would serve as a launching platform into space in addition to providing a facility to perform experiments and other work in a gravity-free environment. The International Space Station (ISS), built with the co-operation and funding of many nations, was completed in 2011. However, all that seems in vain as the Obama administration cut off funding of the United States manned space program, and virtually dismantled those capabilities and facilities at the Kennedy Space Center in Florida. What happened to the vision of those 17 astronauts, including four women, who sacrificed their lives to see the furtherance of the (manned) space program? Was all that in vain as a result of shutting down the program? What happens to the hundred of astronauts who have been in training for years to carry out the previously approved missions? What about the literally hundreds of thousands of employees of NASA and contractors who have lost their jobs from the shutdown? We depend upon and pay Russia over 50 million dollars per astronaut for them (Russia) to deliver our astronauts to the Space Station to carry out the remaining work to be done there. China, Russia and a number of other countries have now entered the “race” to the planets since the US bowed out two years ago. They will be using the International Space Station on their trips into space. We are no longer a contender to explore and possibly settle in other locations in space. What we need is another “Kennedy call” to reactivate and reach out with our manned exploration of space. Hopefully we can elect our next “class” of politicians, including a president, who will not only put back to work the hundred of thousands who have been displaced from their jobs, but once again make America the leader in space as we once were.